Pretty simple costume actually. Striped shirt and overalls wig and good guy patch courtesy of eBay! Makeup was easy as well basically powder and scars penciled on. Flattened out industrial staples and glued over scar lines with eyelash glue. Voila! 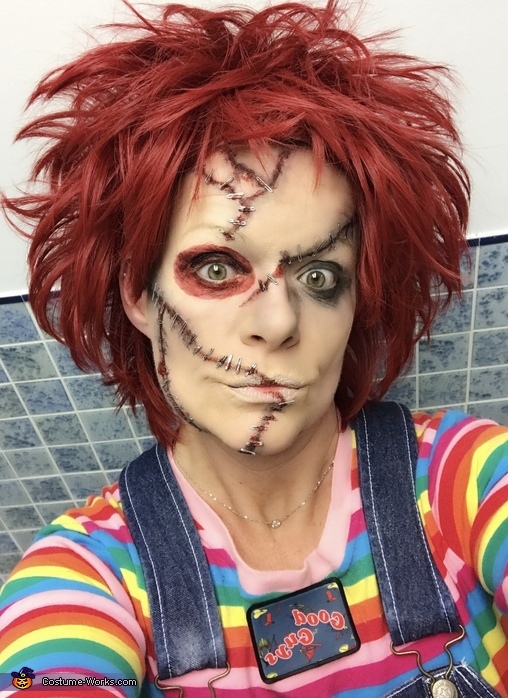 Transformed to Chucky ! !